We Can Help Make it a Reality! After some serious thinking, you've come to the decision that it's time to kiss your landlord goodbye and buy your first home. Congratulations, you're one step closer to joining the homeowner's club! High five, self! Alright, now let's get down to business. There are a few things we need to do before you can post a selfie of you and your brand new home, #homeowner. But, don't worry, we are here to help! Buying a home is a serious decision! Think about it, a home is probably the biggest purchase you'll ever make. So, you want to be sure you're at a point in your life where you can take on something that will require a large time and financial commitment. It's time to ask yourself...are you ready for that commitment? 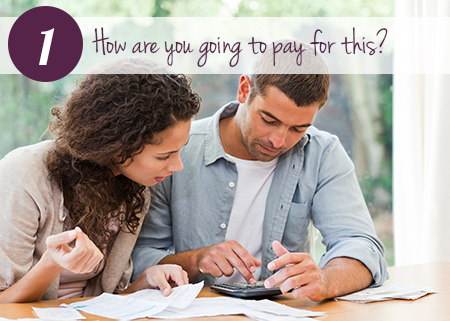 Now that you're all amped up to buy a home, let's talk finances! Not to be a total buzzkill, but the last thing you want to do is fall in love with a home only to find out that you can't afford it. That's why it is key to figure out your housing budget before you even begin to search for homes. And, so the battle between monthly income and spending begins. Consider your car payment, student loans, insurance, utilities, groceries, gas, and, yes, even "fun" money. Rule of thumb for many lenders is that your monthly expenses plus a mortgage payment should not exceed 36% of your gross monthly income. Crunch those financial numbers on your own, then seek pre-approval. This little piece of home-buying magic will show you what price range you can afford and it will be an instant in-road to seeing homes. These days, some sellers require prospective buyers to be pre-approved before even viewing their homes. Ready to see how much you can afford? Choose an option below. Now that one of the hardest parts of home-buying is behind you, it's time to start searching for the home of your dreams! But, hold that thought...you can search online for homes all day long, but you need someone who will be able to schedule showings, take you on tours, offer expertise, negotiate on your behalf, manage paperwork and take care of many other daunting tasks during the home-buying process. Basically, you need someone who's got your back throughout the entire process. That's why enlisting the help of a licensed real estate agent is so important. Oh, and as a buyer, there is no extra cost in utilizing the services of a real estate agent. Talk about a win-win! Most home buyers use an agent referred to them by a friend or family member. And, that's great, but it doesn't mean that you've got to go with your Aunt Sally's neighbor's daughter or any other friend-of-a-friend. Talk with a few agents and find out things like their familiarity with the area where you are planning to buy, their communication style, their availability and really, their personality, in general. Find an agent you like and trust to help with this major, life-changing purchase! Budget..check! Real estate agent...check! Finally...the really fun part! This is all about you. Where do you want to live? What type of house do you want? How many bedrooms, bathrooms? Do you want it to be move-in ready or would you like a fixer upper? Your choices are basically endless! Realistically, you can start to prioritize your home wants and needs by creating categories like "Must-Haves," "Like to Haves" and "Bonus Features." Share this list with your real estate agent, so that you're both on the same page and he/she can try to find homes in your target area that include the items on your list. 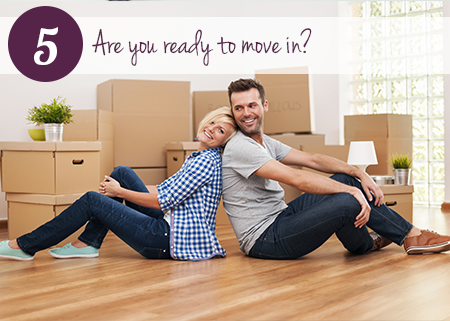 Ready to find your home? Choose an option below. 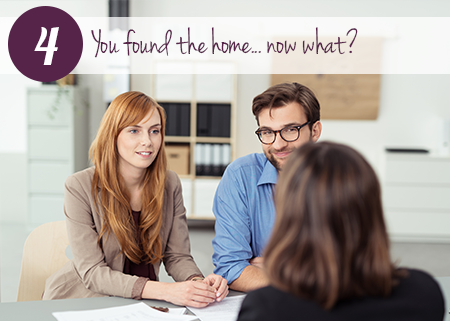 You found the home you've been dreaming of! Congratulations! Before you pull out that selfie stick, it's time to have a serious talk with your real estate agent about making an offer. Phew, aren't you glad you've got their help?! Your agent will advise you on how much you should offer, the proposed closing date and other things, like seller's assist. At this point, you may also turn in your hand money, which is a portion of your down payment that you present with the offer to show your good faith. If your offer is accepted or if you accept a counteroffer, the closing process begins! This may include home inspections and appraisals that will help you find any defects on the property and give you the opportunity to go back to the sellers for repairs, if necessary. 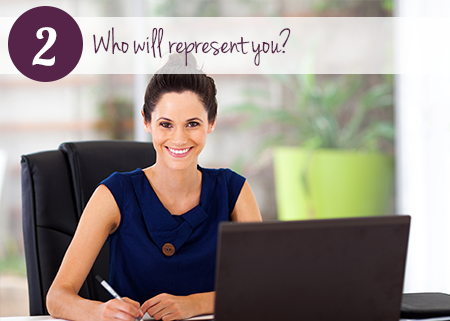 You'll also finalize your mortgage application, order home insurance, order title insurance, a survey and more. With that, you are officially a homeowner! Congrats! Feels good, right? As the new owner of your home, there are a few things you'll need to do right off the bat. Before move-in day, turn on all of the utilities. Your real estate agent may be able to give you contact information for the utility companies specific to your home. Then, enlist some help! Arrange for movers (or friends!) to help you move in all of your belongings. If you plan to paint or make any renovations prior to moving in, give yourself time to do so before scheduling your move. It's also a good idea to have a layout plan, so that you can instruct your movers exactly where to put your furniture. Welcome to the homeowner's club! On behalf of everyone at Berkshire Hathaway HomeServices The Preferred Realty, we'd like to congratulate you on your new home. If there is anything we can do to help you in the future, please feel free to reach out. Until then, enjoy your new home!